I was just talking to someone on twitter telling them about Harold and just a few things that happened to me and what not. My freaking phone started making this really really weird sound and i swear i could hear a voice but couldn’t make anything out. Then when i deleted what i was writing and said to myself nevermind and a lil after that it finally stopped. Nothing was running that should of made any sound like that. I’ve never heard my phone make that noise or anyone’s else’s phone like that. Want to hear something crazy? Until recently, I didn’t believe in the existence of demons, and have said as such in numerous interviews I’ve done about the doll. That was until… well, I tell you what changed my mind in my book, along with 20+ photos. This book will scare the hell out of you! His reaction to Haunted Harold book is priceless! 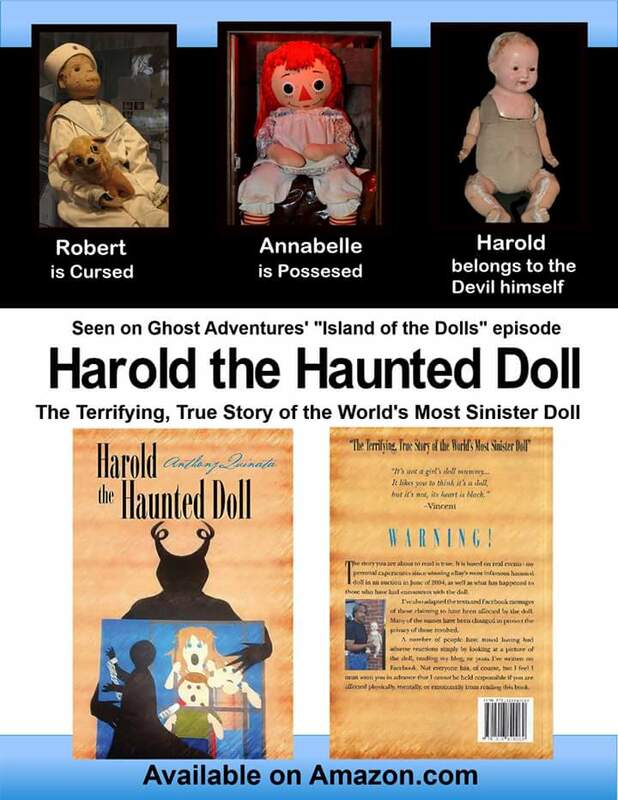 I received this in an email about my last vlog talking about how Harold the Doll’s story unnerved a Catholic priest. I loved it so much I had to share it with you! This book will scare the hell out of you. Harold’s Story Scared a Catholic Priest! 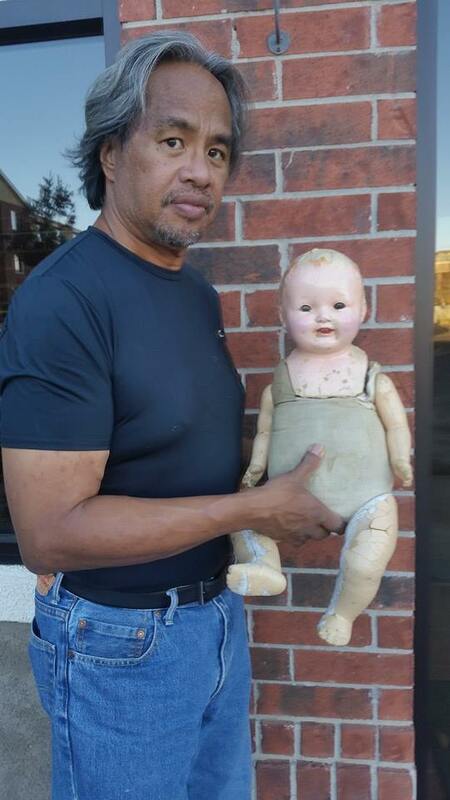 If you’ve read my book you know that “Vincent” and his mom, “Jane” (I’ve changed their names to protect their privacy) are important people in the story of Harold the Doll. Last Tuesday, Jane was diagnosed as having a cancerous polyp which was removed this past Monday. I heard from Jane last night. She said she’s recovering from her surgery and feels “semi-human.” She also had this to say about her son. Keep in mind, Vincent is moderately to severely autistic, so this is NOT typical behavior for him. He’s grown so much since this whole thing has ended for him. For me, of course, it’s far from over. But I’m happy for Vincent. And that his mom is recovering from her surgery. I was chatting with Jayne Harris​, who owns Peggy, and I was reminded of a story, which I told her, and thought I’d share with you. I was on a plane, sitting next to a guy who was watching Ghost Adventures on his computer. It happened to be the Island of the Dolls episode. “Are you a fan of the show?” I asked him. Just then, Harold made his on screen debut. “I have that doll,” I told him. “Do you really?” He looked skeptical. “No….” He never said a word to me after that. 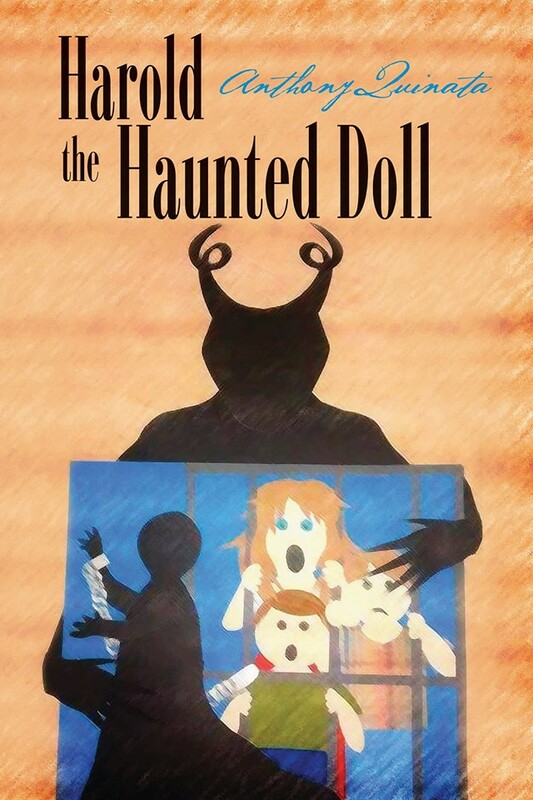 Harold the Haunted Doll book review! The first review on Amazon of my new book! I am very much into the paranormal, particularly true-life cases. I enjoyed this book very much, and although I am used to being exposed to lots of creepy things in books/film, and therefore don’t scare too easily, THIS book really did get under my skin. I read all of it within a couple of days because I found it very engrossing. If you believe in the paranormal then this account is well documented and presented here. If you don’t believe or are sceptical, it’s still an enjoyable book that is likely to unnerved you.